Win a Free Meal at My Thai! You are here: Home / News / Win a Free Meal at My Thai! My Thai restaurant is giving away a free meal every week. 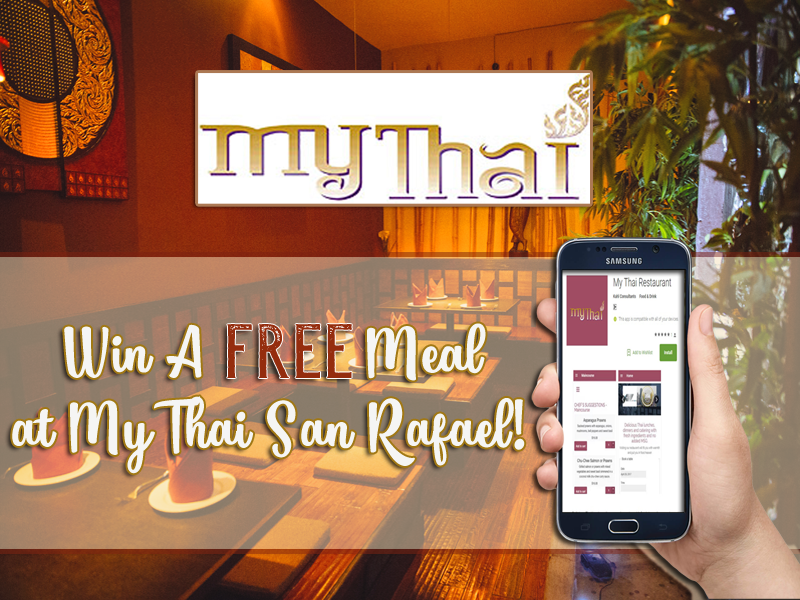 Simply download our Mobile App and you’ll automatically be entered in the contest to win a delicious, fresh and healthy My Thai meal. The My Thai Mobile App is available on iTunes and Google Play. Watch out! Every week we’ll announce the winner of a FREE My Thai meal. The winner is chosen randomly from all our Mobile App users. We will announce the winner on our App, on Facebook and Instagram. What are you waiting for? Download our Mobile App now and FOLLOW us on Instagram and Facebook! To learn more visit us at 1230 4th St in downtown San Rafael or call us at 415-456-4455.